Best Koi fish in town! Everyone in the family of this family owned business is extremely helpful and very nice every time I visit. They are very knowledge about keeping Koi healthy. Scott, thank you for visiting us! Let us know if you have any more questions or need any more help. Thank you for visiting us and for the kind words, Joseph! Let us know if you need anything or if you have any questions. Thank you again for visiting us, Carmelo! I'm happy that you were able to find everything you needed. Let us know if you need anything else or have any other questions. We appreciate the review! Beautiful fish and very knowledgeable staff. Definitely worth making the trip across the bridge for me. If you want a Koi pond this is the place. A hidden gem, it's beautiful and magical. The owners are lovely; helpful and knowledgeable but never pushy. Walking through the property felt like a little bit of koi heaven. Friendly, well informed folks who really care about their beautiful fish and their customers. The customer support is great. Plenty of selections available. Great place to gather insight if a beginner. Stopped in to get advice on making a pond. Owner very knowledgeable and they had beautiful plants in addition to the fish. An unusual store but perfect for the degree of specialization! Thank you for visiting, Kyoko! If you have any additional questions, please let us know. We're happy to give you any additional advice for your pond design and construction. Great help and insight, this place is doooope! I love this place! Very knowledgeable, and helpful. Beautiful and healthy fish w a wide variety. This family couldnt be nicer, very knowledgeable, and their selection of koi is ridiculously good. If you think you’ve seen big koi before, take a look in the monster tank here. Lots of little ones too. Appreciate your kind words and support, Stephen! Thank you! Wide selection of Koi, equipment and supplies. This place is great! No BS here, everything is directly related to ponds, koi, or plants.... And it's excellent! Thank you for visiting, Seldon! Appreciate your kind words. Come by anytime! East Bay Koi has an amazing selection of Koi. Andy was very helpful. He has helped us to update our pond from a smelly mess to a beautiful clear pond that we can enjoy. What a great place....truly a hidden gem; would never know that it was there unless you are truly seeking out a place for Koi. Everyone is so helpful; whether your a beginner or an avid lover of Koi – this is the place to come. Good koi fish place in Oakland. Many good Japanese specices. 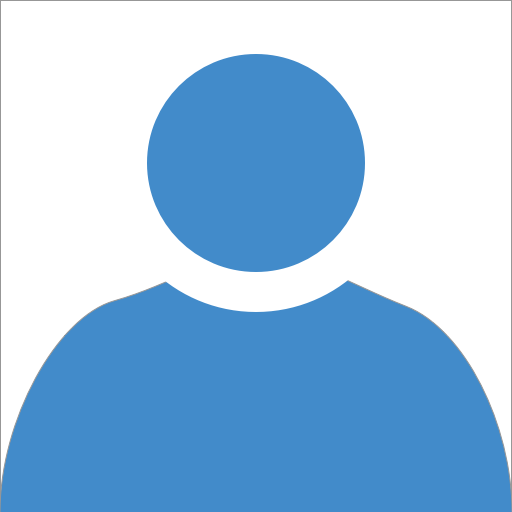 Owner offer help in building large fish ponds. Great koi and great service. High quality fish at fair prices. I will be back. I could not make the store at usual business hours and the owners opened early for me. It was a pleasure meeting you Chris. Glad all of your koi arrived safe and healthy! Thank you again. The owner Kelvin Lam was helpful, friendly, informative and knowledgeable. 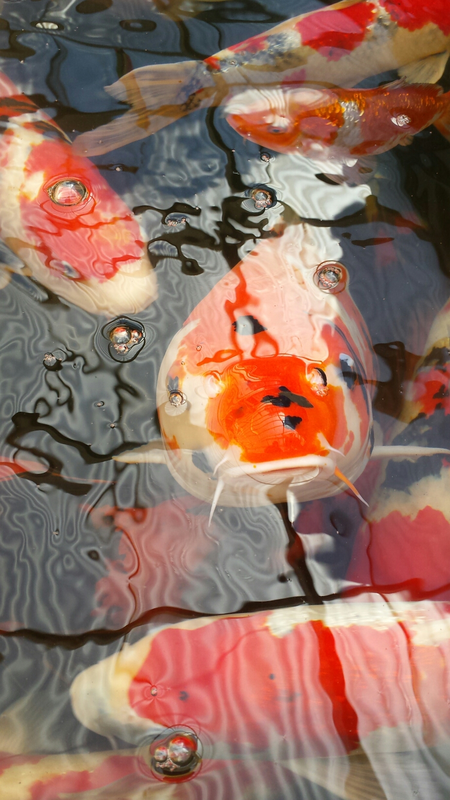 His all-Japanese koi are brilliantly curated – each one is a jewel. Thank you for visiting, Ron! Appreciate your kind words. Let us know if you need anything or have any other questions. Thank you for visiting, Christian! Appreciate your feedback and kind words. Let us know how we can help you moving forward. Best of luck on the move! This place is great. They have a lot of great looking Koi here. And also everything you need foe your pond. Thank you for the kind words and support, Kimo! Let us know if you need anything! Nice and informative folks. Will definitely buy from them again. You would never know it was there unless you knew it was there. Thank you for the kind words; we definitely appreciate your support, Selina! 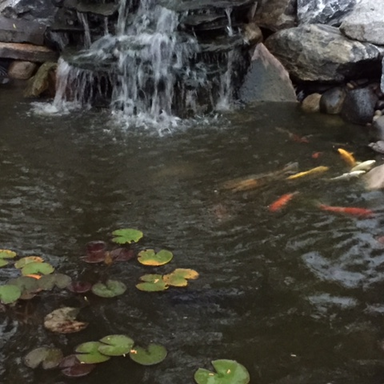 We're glad you enjoy our Koi! Thank you for the kind words, Travis! Always a pleasure having you and your family visit us at East Bay Koi. We love young, adorable Cooper! Great spot and the owners know their stuff. Thank you for visiting us! 谢谢! Great place to get the highest quality best Koi in the Bay area! I can recommend them highly. Great getting to know you, Jeanne! Thank you for visiting us again! This was a fantastic koi store experience. The people are over the top nice and extremely patient for a noob like me. I wish I could give them 10 stars!!!!! Glad you had an awesome experience, Lars! Thank you again for visiting. Let us know if you have any questions. The owners are the nicest people in the world! Great selection! This is simply the best place in the Bay Area to buy koi fish. Bring your family and friends here! The koi fish are all very friendly and beautiful. Cant wait to get my own koi pond setup soon. Thank you for visiting, Chuen! Glad you found us, please let us know if you have any additional questions. Thank you for your support these last few years, Ray! Glad to hear your Koi are doing well! Andy was extremely helpful and informative. Walked in hoping to purchase 3 little koi and walked out with 6. Very patient and excellent customer service. That schnauzer is the sweetest dog ever! Will definitely return. Thank you for visiting Debbie! Let us know if need anything. Thank you for visiting, Kenneth! You're welcome anytime! Amazing people with some of the best Shiro Utsuri I've personally seen. Highly recommend these guys. Thanks for visiting Travis! You're always welcome. Amazing selection. It was fun to walk around the ponds and see such a variation in coloring and patterns. East Bay Koi is the best place to get koi in the bay area. 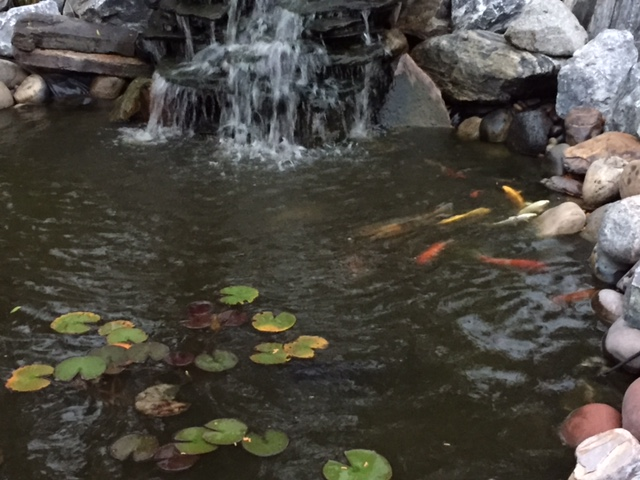 Family owned business – super kind, helpful and passionate about koi! Andy is amazing and truly knowledgeable about his fish and about the business. I would truly recommend his business to anyone in the area. These guys are amazing! From their diligent nature to their customer service, absolutely great! The ownership is very prudent and I highly recommend them to everyone! We greatly appreciate your feedback, support, and your long drive you've made to visit. You're always welcome to come and hang out! The people at East Bay Koi were very helpful. They have beautiful, very healthy koi. Perfect in my pond! Hidden east bay secret! Love the owners, so helpful, We sometimes come by to see the HUGE koi. The owner was so pleasant and patient with me as I peppered him with questions about his Koi selections. It turned out to be a really great learning experience for me. I'm looking forward to bringing my son here on our next visit! Very friendly business. They listen and help you take the best care of your Koi! Very friendly, of all the koi establishments I've been to this is the friendliest. Everything you need, and a good selection of entry level koi. This is a family business. Everyone there is knowledgeable and helpful. There are no salespeople just going through the motions; the staff clearly cares about providing service to the customers. Thank you Jerry! We appreciate your support. Feel free to swing on by anytime. They have a selection of koi and beautiful. This place has the best variety of koi I have ever seen so far. I really enjoy seeing their koi fish. Stunning Koi and Andy is a very friendly and patient teacher. My girlfriend and I live nearby and plan on visiting often. Excellent – very helpful on maintaining our Koi Pond. Great selection, clean and well maintained store and very knowledgeable, helpful and friendly staff. Very friendly and helpful! A large variety of Koi to choose from and the prices are within reason. Lots of plants and supplies! These guys are saints. I had an emergency and needed some dechlorination chemicals at 10:30 at night to save my fish. Not only did they answer the phone but told me to get down there pronto and reopened the shop so I could save my fish. What an amazing place!!! They spend the time educating you on your investment and work for the customers best experience. I could have spent hours staring at the beautiful array of colors and patterns on these fish....highly recommended!!! Beautiful Koi. Friendly and helpful dealer. I will be a repeat customer. Fantastic space! The business is family run, and they are all incredibly knowledgeable and helpful. I would recommend this business to anybody looking for their next koi purchase! 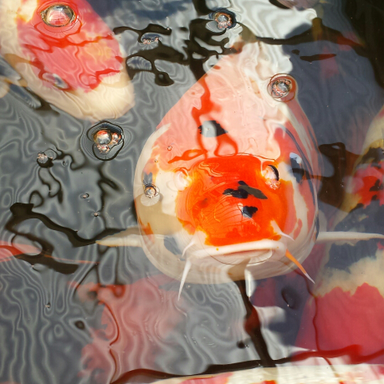 Great selection of magnificent koi—all sizes and lots of variety. Personal attention by really knowledgeable folks who actually care deeply about customers (and koi)! These guys and their fishies are the real thing! Beautiful , quality fish. Best in the area. Love this place Andy is amazing anytime I have had a question he is right there with the answer. Great customer service and the best selection of fish in the bay area. Great shop! Everyone is very friendly and helpful. Tony was especially great in explaining the different breeds, and what the pond requirements were for the amount of fish I wanted. A huge variety of beautiful koi and the owner was helpful and friendly. We will definitely be back and bring our parents. Great shop, friendly staff, helped me with all the questions. All 9 of my Koi purchased from them are still alive :) 6 month and going strong.. Awesome koi shop. The owner is very helpful. I highly recommend this family business if you are considering building a pond or are shopping for any koi pond supplies! Great shop with a wide variety of koi and extremely friendly and knowledgable owners. I will definitely be back! Beautiful place! Very affordable Koi with excellent customer service. Their water is crystal clear and all their Koi look very healthy. Visited for the first time today. Greeted by owner, Andy, a super friendly and helpful guy. He told me all about koi and gave a lot of really great advice. We'll be coming back again and again as we get more involved with this hobby! this place is worth checking out, even if your not gonna buy, very knowledgeable of their priced koi. What a wonderful place – such friendly attention to our constant questions! Awesome place. The koi are amazing and they have a fantastic variety. The owners are super cool and very informative.